Mystic Pharmaceuticals is located in Cedar Park, Texas part of the greater Austin metropolitan area. This exciting, vibrant city offers a cosmopolitan atmosphere without the big-city hassle. The residents of our community enjoy a reasonable cost of living, striking scenery and friendly people. The city gets high marks for its lifestyle, music and the opportunities to pursue challenging careers. Austin has been cited as the Number One destination both for relocating families and relocating singles. It’s also a mecca for creative, talented people pursuing challenging careers. 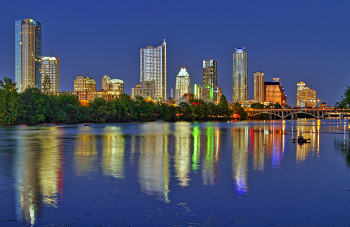 Austin is the live music capital of the world with an exciting nightlife, excellent schools, the seat of state government and home to the University of Texas as well as other fine academic institutions. Visit Cedar Park Chamber of Commerce (www.cedarparkchamber.org) and the Austin Chamber of Commerce (www.austinchamber.com) for further information. Mystic Pharmaceuticals is an exciting, fast paced company. We embrace a corporate culture of applied innovation, personal responsibility, integrity and a sincere desire to improve the quality of human life. We seek experienced professionals with a high degree of personal commitment to making a difference and producing results at our Cedar Park, Texas facility. Important Notice to Employment Businesses/Agencies, Mystic Pharmaceuticals does not accept referrals from employment businesses and/or employment agencies for positions or job offerings posted on this site. All employment businesses/agencies are required to contact Mystic’s Human Resources department to obtain prior written authorization before referring any candidates to Mystic.